The expanded loan program will make financing of up to $5 million available to potential brownfield site purchasers and current brownfield site owners. The action is part of the governor's efforts to drive targeted investments in underserved communities. In its inaugural joint survey, Rutgers' Eagleton Institute of Politics and FDU’s polling units said that of those polled, no official - not Murphy, Booker, Menendez, Sweeney, or Christie - scored a favorable majority with New Jersey residents. Fourteen projects are looking to make movies in New Jersey using the state's newly established film tax credit program, which was signed into law by Gov. Phil Murphy last summer. The excursion aims to connect entrepreneurs to the Small Business Innovation Research and Small Business Technology Transfer programs, according to the U.S. Small Business Administration the largest source of early stage funding in the country. The debate over what role taxes has - or hasn't - played in residents staying in or fleeing from the state has fallen largely along party lines, with Republicans and pro-business groups arguing the high cost of living has prompted an exodus, and liberal advocates arguing the state has assets which continue to make it desirable. Coming soon: Summer of Hell part 3? Another “challenging” summer could be in store for New Jersey Transit riders, Gov. 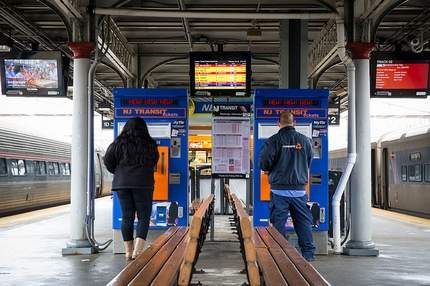 Phil Murphy said Monday morning, despite staffing increases and the full installation of a federally mandated emergency braking system, both meant to alleviate symptoms that previously created commuting nightmares for riders. Senate President Stephen Sweeney said Friday that New Jerseyans should not expect more revelations about companies gaming incentive programs, like Jackson-Hewitt was purported to have done at the first meeting of a panel convened to scrutinize wrongdoing in such programs.